Legal immigration to Palestine was handled by the Jewish Agency under the auspices of the British Mandate Government. 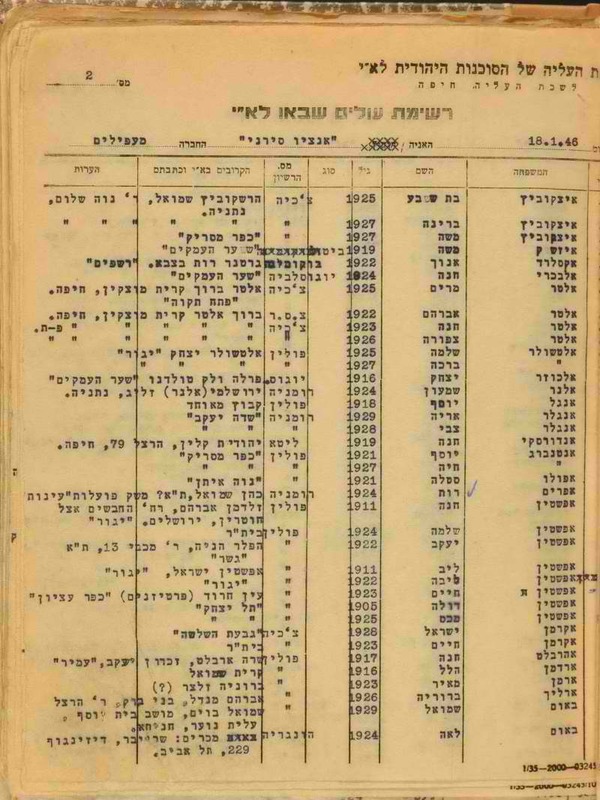 The data in this project of immigration lists deals with the time period from 1921-1948. The immigrants had four modes of transportation: most came by ship, some came over land, a few came by train from Egypt and Lebanon, and in the 1940s there were some that came by airplane. Many of the earlier lists cannot be easily read and transcribed; therefore this project may not include all immigrants from that period. 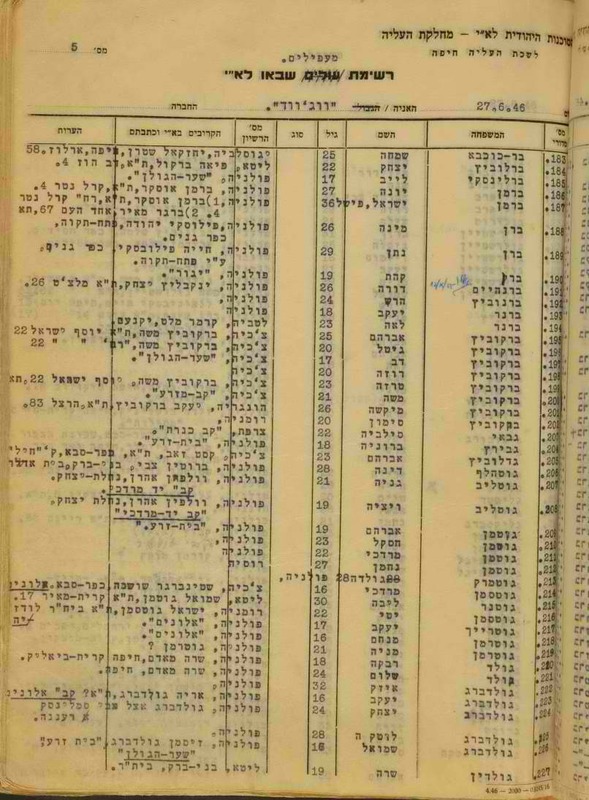 At this stage the project is based on material scanned by the State Archives of Israel. The information you are asked to transcribe is: country of origin, age/year of birth (which ever is given), given name, surname, date of event, month of event, year of event (YYYY), line number. The date is usually at the top of the page, unless the list is short and a new list starts in the middle of the page. If one of the names is illegible, please type “illegible”. If one of the fields is empty, continue on to the next field. If there are parentheses ( ), do not type them. If there are quotation marks ("), type the information from the line above the quotation marks. The additional data such as the port of entry, addresses of family in Palestine and other comments are not to be typed. If there is no line number, leave that field blank.